• How to appeal to workers of each generation with your employee benefit programs. • Strategies to ensure compliance and cost containment. • Understanding of new and unique benefits valued by organizations prioritizing diversity, equity, and inclusion. Reilly Anderson is a solution-driven advisor who strives to find smart and effective plans in the dynamic world of healthcare. He has been in the sales/marketing field for almost 15 years with a focus in developing and maintaining client relationships. He is a licensed Life and Health consultant for CSNW with expertise in both group and individual enrollments. His diverse client base ranges from nonprofit organizations to manufacturers. Reilly grew up in Brownsville, Oregon and is a 2005 graduate of Rollins College in Winter Park, FL. He, his wife Renee, and their son River live in SE Portland. In his time away from work, Reilly enjoys playing the guitar, traveling, brewing beer, and taking advantage of all things Pacific Northwest. Dan O’Doherty has been assisting small to medium sized employers with designing, implementing and servicing their company sponsored group insurance and retirement plans for more than 20 years. Dan’s background in insurance and financial planning has enabled him to bring a unique perspective to his employee benefit and group retirement clients as he has helped pave the way to a more financially secure future for their employees. 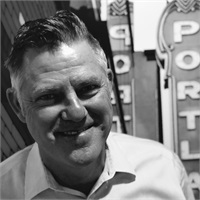 As Principal of Compensation Systems NW, Dan continually strives to support the goal of quality service and expertise by focusing on continuing education, monitoring industry trends and searching out opportunities to increase his knowledge and skill. 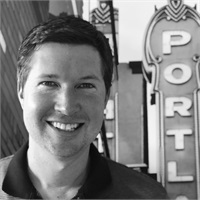 Dan O'Doherty, CFP®, CLU, ChFC is a graduate of University of Oregon where he earned a bachelor’s degree in Economics and is active in numerous local charitable and industry organizations. Dan is married to Carolyn and has two boys. Their family is active camping, windsurfing, rafting, snowboarding, and hiking throughout the northwest. Dan also is involved in coaching youth sports including baseball, soccer and basketball. If you are logged in as an NAO member you will see your member discount reflected in the cost listed on the following registration page. For questions about this event, or trouble with registering contact training@nonprofitoregon.org.